Parts list of the body is enumerated below. Attention! 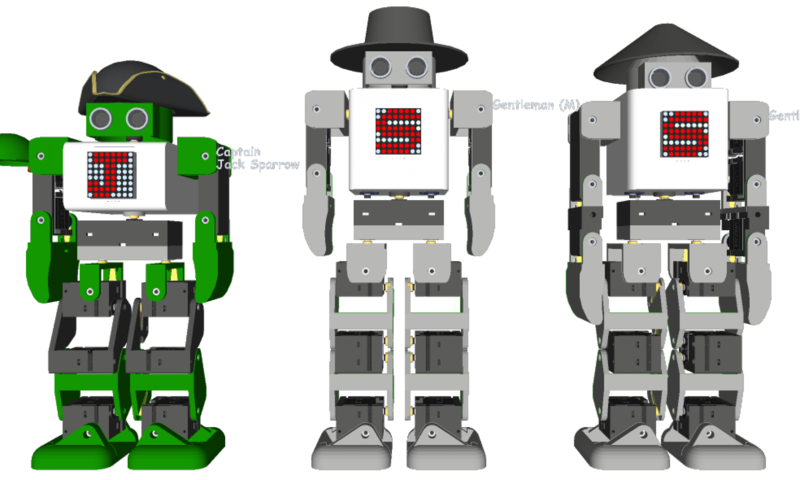 : Servos’ cables are passed through inside the body’s gap. Attention! : Head-board’s cable is passed through inside the body’s gap. Attention! : Control-board’s cable is passed through inside the body’s gap. Attention! : Please use normal screws to attach the control-board. Attention! : Before to attach the brackets, you should connect servos’ cables and the control-board. When it was completed, please turn on both switches and keep the status. Attention! : Please connect the white wire which is owned by a servo to inside of the control-board. Attention! 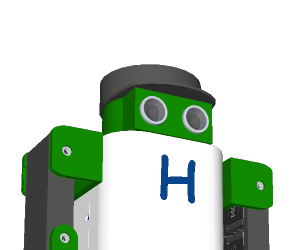 : Attach a servo-bracket to the body. At that time, please check it is placed approximately parallel to edge of the body. Attention! 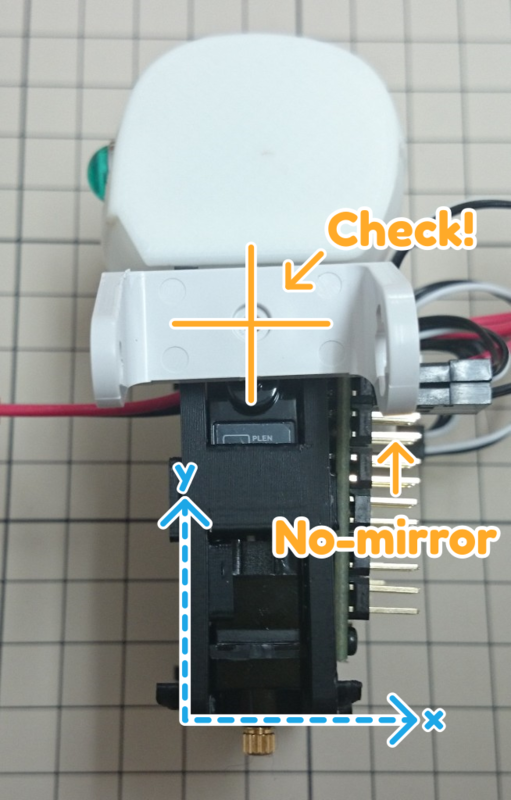 : Attach a servo-bracket (mirror) to the body. At that time, please check it is placed approximately parallel to edge of the body.